Travel across Providence, North Kingstown and all throughout Rhode Island in a new Toyota car or SUV. What can a new Toyota offer you? In addition to industry-leading safety tech, new Toyota models offer plenty of comfort options to enhance your everyday drives. And if you’re interested in a rugged new Toyota truck or SUV for any kind of New England terrain, we have exactly what you’re looking for at our Toyota dealer near Providence, RI. View our new Toyota inventory online, then stop by our North Kingstown Toyota dealer to test-drive any of the highly capable new Toyota SUV models on our lot. Between the Toyota 4Runner four-wheel drive SUV and the affordable all-new Toyota RAV4, there’s something for everyone in the new Toyota SUV lineup available at Tarbox Toyota. Drive smarter when you buy or lease one of the powerful and efficient new Toyota SUVs for sale at our RI Toyota dealer. 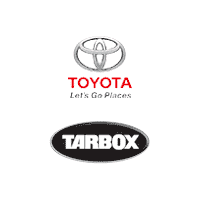 Get directions to Tarbox Toyota before you drive to visit us. Our Rhode Island Toyota dealer is located at 3671 Quaker Ln in North Kingstown. If you’re coming from the Providence area, just hop on I-95 S, take exit 6 and merge onto RI-2 S. We’re just a mile down from there and on your right. Whether you want to visit us from Providence or anywhere in Washington County, we’re conveniently located off Route 2 or Route 4 in North Kingstown, RI. Contact Tarbox Toyota with any of your Toyota sales or service needs and we’ll make sure you’re taken care of. And if you’re looking to save big on a new Toyota SUV, trust that our competitive Toyota lease and finance offers can help you save on the price of the model you desire.